Oswaldo was the consistent human rights defender who advocated for Cuban freedom using nonviolent means and an awful lot of courage his whole life. Two years later and his physical absence is still felt. July like February has become a month to remember and mourn for the dead while demanding justice. 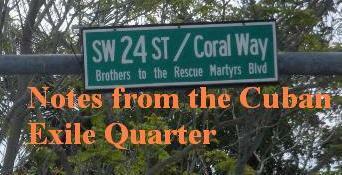 Sunday, July 13 marked 20 years since the "13 de Marzo" tugboat massacre in which 37 men, women and children were murdered for trying to flee Cuba aboard the stolen vessel. However, the excuse that the crews on the other ships "acting patriotically" may have overdone it falls short when once considers that Cuban swimmers trying to flee to the Guantanamo naval base and freedom in June of 1993 were subjected to automatic machine gun fire, hand grenades, their bodies being recovered with gaff hooks. Trying to leave Cuba without the permission of the dictatorship is a crime punishable by prison if one is lucky and death if one is unlucky. However, staying in Cuba and living the life of a free person is also dangerous proposition if one is lucky it means prison and if one is unlucky then it means death. 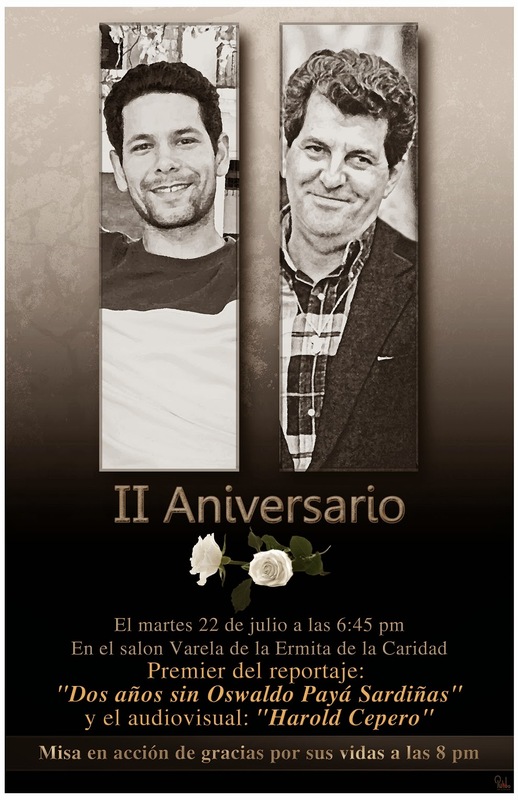 Cuban opposition leader Oswaldo Payá Sardiñas and youth leader Harold Cepero Escalante were killed on July 22, 2012 in what appears to have been a state security operation. Seven days from today friends and family will be marking two years since their untimely deaths by giving thanks for their lives of service and sacrifice. World leaders continue to demand an international investigation into their deaths and a survivor in the incident has gone on record to denounce that what happened was an attack orchestrated by state security. Ofelia Acevedo, Oswalo's widow, addressed the United Nations Human Rights Council and denounced the role played by Cuban state security on September 17, 2013. The Castro regime's cover up is crumbling.